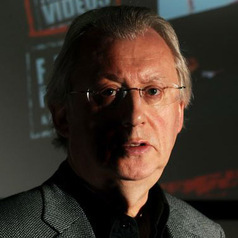 During his career, Julian has moved back and forth between working in the media and teaching about the media, and although he has been a full-time academic for the past twenty years he is still an active freelance journalist, and is a member of the editorial board of the British Journalism Review and of the advisory board of Index on Censorship. He is also chair of the Campaign for Press and Broadcasting Freedom, in which role he actively campaigns for a media which is both free from restrictions which stop it from performing its proper social functions but, equally importantly, behaves responsibly and displays the same degree of openness and public accountability which it habitually demands from other institutions. This work involves making numerous submissions to official enquiries of one kind or another, giving evidence to parliamentary bodies such as select committees, liaising with like-minded civil society groups, and maintaining a high media profile. All of this activity feeds directly into my teaching and research at Brunel.